On early Wednesday morning, NASA’s Messenger captured 31 images at two-minute intervals for over an hour, starting at 5:18 AM EDT, three minutes after the partial phase of the eclipse started. It ends just seven minutes before the Moon was completely immersed in the Earth’s shadow at 6:25 AM EDT. When you think of volcanic activity across the solar system you probably picture some of Earth’s many volcanoes, as well as those covering Jupiter’s moon Io, the enormous (but very extinct) volcanoes of Mars, and perhaps even the ice volcanoes that are thought to exist on Saturn’s moon Titan. But there was a time early in the solar system’s history when lava poured from volcanic vents on many other worlds as well, such as the innermost planet Mercury and even our own moon. It’s been thought since ages ago that the moon’s volcanoes went cold quite a while back, between 1 and 1.5 billion years ago. But recent discoveries by NASA’s Lunar Reconnaissance Orbiter show some spots that may have experienced volcanic eruptions much later, some as recent as 33 million years ago! Small areas of what appear to be recent basaltic lava deposits have been identified in images acquired by the Lunar Reconnaissance Orbiter Camera (LROC) on the moon’s near side. 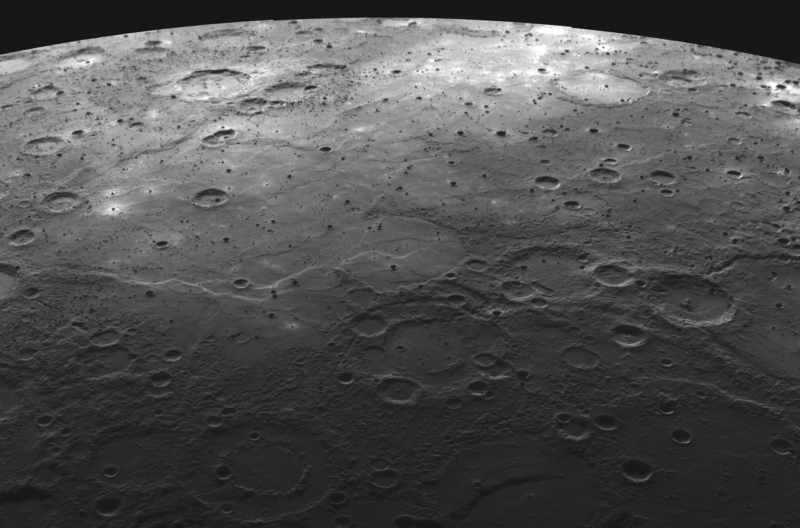 These “irregular mare patches,” or IMPs, contain rough and smooth surfaces with few craters larger than 20 meters (65 feet), indicating a young age. 70 IMPs have thus far been identified, the best-known of which (and first discovered) is one named Ina, seen by Apollo 15 from lunar orbit. 2 km (1.25 miles) across, Ina was unlike any other region seen by Apollo astronauts and was originally thought to be an irregularly-collapsed caldera.